Non- Pressure Roof Cleaning– This is our main service and we pride ourselves on our expertise in this field. A properly clean roof will stay clean for a period of 3-5 yrs. 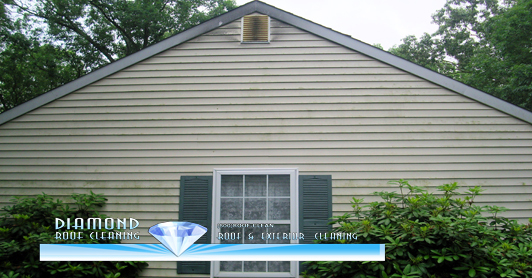 With the use of our Eco-Friendly Diamond Wash System We can effectively erraticate the Black Mold that you see forming on your roof. Also cleaning your roof will give you instant curb appeal. 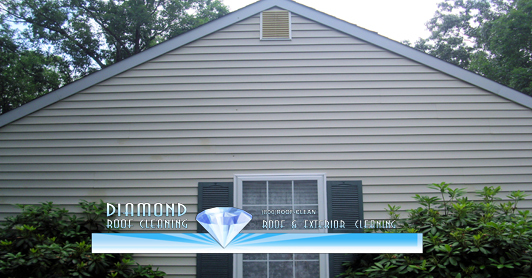 House Washing– We see that you clean roofs but my siding is dirty to! Well we have a solution for that too. We use our low pressure cleaning system to kill and remove all that ugly green growing on your siding as well. We can safely wash Vinyl, Aluminum, Stucco, Dryvit, Eifis and any other type of siding. We recommend washing your House atleast once every 2 yrs. Serving the Following NJ Counties: Atlantic County, Camden County, Burlington County, Salem County, Gloucester County, Cape May County, and Cumberland County.